As we begin a new year and celebrate the major milestone of more than 25,000 data packages published, it’s a great time to highlight the value for re-use of the scholarly resources that are openly available and licensed in Dryad. So, which data packages published in 2018 have received the most downloads? Here are some at the top of the list. Here’s a lovely example of “data” that can have uses well beyond research. We’d love to know what people might be doing with these audio files. Meditating to them? Incorporating them into musical compositions? This is an example of a dataset compiled specifically for re-use. According to the authors, “Recently, functional aspects of avian diversity have been used frequently in comparative analyses as well as in community ecology studies; thus, open access to complete datasets of traits will be valuable.” To make the data as useful as possible, they included a broad spectrum of traits and provided the file in an accessible format: ASCII text, tab delimited, not compressed. Given the large number of downloads, it has indeed proven valuable! Here’s another dataset created for the purpose of improving research — in this case, reporting of limitations in clinical studies. The machine-learning techniques tested here can be incorporated into the workflows of other projects, to support efforts in increasing transparency. Huge thanks are due to researchers who take the time and effort to publish their data, to the journals who support them in doing so (including those highlighted above), and to the Dryad member organizations who make it all possible. Here’s to the next 25,000, and the millions of downloads they will produce! Dryad is excited to announce the appointment of Melissanne Scheld as Executive Director. Melissanne joins as Dryad embarks upon our 10th year of providing open, not-for-profit infrastructure for scholarly data, and as we begin a strategic partnership with California Digital Library (CDL) to address researcher needs by leading an open, community-supported initiative in research data curation and publishing. We are pleased Melissanne is joining us at this auspicious point in Dryad’s trajectory. With over 25 years of experience working with the academic community, and with her knowledge of the scholarly communications industry, we are confident she will successfully lead Dryad into our second decade as a community-supported provider of open data services. Melissanne most recently served as Managing Director of Publishers Communication Group, a scholarly publishing consultancy, and has previously held positions at the university presses of Cambridge, New York University, and Columbia. To welcome our new ED and/or inquire about ways to get involved with Dryad, send an email to director@datadryad.org. We are thrilled to announce the latest additions to the Dryad Board of Directors. Our 12-member Board is intended to be a diverse group, with a mix of background and skills useful to represent the various stakeholders in the Dryad community — publishers, researchers, technologists, funders, and libraries. BOD members are elected or re-elected each year by the membership to serve 3-year terms. Wolfram Horstmann has been Director of Göttingen State and University Library since 2014. Prior to that, he was Associate Director at the Bodleian Libraries of the University of Oxford, UK and CIO at Bielefeld University, Germany. He is Professor at the Information School of the Humboldt University in Berlin, teaching Electronic Publishing, Open Access and Open Science. He is biologist by training and worked on the epistemology of simulations for his doctoral thesis. Read more about Wolfram. Paolo Mangiafico is the Scholarly Communications Strategist at Duke University and Director of the Scholarly Communication Institute. In his role at Duke, Paolo works with librarians, technologists, faculty, students and university leadership to plan and implement programs that promote greater reach and impact for scholarship in many forms, including open access to publications and data and emerging platforms for publishing digital scholarship. Caroline Sutton is Director of Editorial Development with Taylor & Francis. Before joining the company in October 2016, she was co-founder of Co-Action Publishing, a full OA publisher. She helped to found and served as the first President of the Open Access Scholarly Publishers Association (OASPA) and is a member of the present board. At Taylor & Francis, Caroline has led efforts to roll out data sharing policies as well as initiatives related to open scholarship across subject areas. Paul Uhlir, J.D. is a consultant in information policy and management. He was Scholar at the U.S. National Academy of Sciences (NAS) in Washington, DC in 2015-2016, and Director of its Board on Research Data and Information, 2008-2015. He was employed at the NAS in various capacities from 1985-2016. Paul has won several prizes from the NAS and the international CODATA in data policy, and is a Fellow of the American Association for the Advancement of Science (AAAS). Read more detailed information about his professional activities. Filling out the Board roster are two members in Ex Officio (non-voting) status. We are thankful that Todd Vision, longtime BOD member and PI of grants supporting Dryad, will continue to serve. We also welcome Günter Waibel, Associate Vice Provost and Executive Director of California Digital Library, in this capacity to represent our recently-announced partnership with the CDL. Finally, we wish to express our sincere appreciation to outgoing BOD members and officers for their work on behalf of Dryad and open data. Dryad is thrilled to announce a strategic partnership with California Digital Library (CDL) to address researcher needs by leading an open, community-supported initiative in research data curation and publishing. Dryad was founded 10 years ago with the mission of providing open, not-for-profit infrastructure for data underlying the scholarly literature, and the vision of promoting a world where research data is openly available and routinely re-used to create knowledge. 20,000 data publications later, that message has clearly resonated. The Dryad model of embedding data publication within journal workflows has proven highly effective, and combined with our data curation expertise, has made Dryad a name that is both known and trusted in the research community. But a lot has changed in the data publishing space since 2008, and Dryad needs to change with it. CDL was founded by the University of California in 1997 to take advantage of emerging technologies that were transforming the way digital information was being published and accessed. Since then, in collaboration with the UC libraries and other partners, they have assembled one of the world’s leading digital research libraries and changed the ways that faculty, students, and researchers discover and access information. CDL has long-standing interest and experience in research data management (RDM) and data publishing. CDL’s digital curation program, the University of California Curation Center (UC3), provides digital preservation, data curation, and data publishing services, and has a history of coordinating collaborative projects regionally, nationally, and internationally. It is baked into CDL’s strategic vision to build partnerships to better promote and make an impact in the library, open research, and data management spaces (e.g., DMPTool, HathiTrust). CDL and Dryad have a shared mission of increasing the adoption and availability of open data. By joining forces, we can have a much bigger impact. This partnership is focused on combining CDL’s institutional relationships, expertise, and nimble technology with Dryad’s position in the researcher community, curation workflows, and publisher relationships. 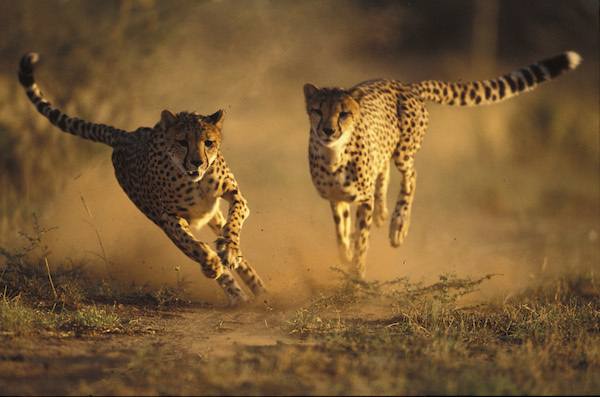 By working together, we plan to create global efficiencies and minimize needless duplication of effort across institutions, freeing up time and funds, and, in particular, allowing institutions with fewer resources to support research data publishing and ensure data remain open. We have many details to hammer out and a lot of work to do, but among our first steps will be to reach out to you — each of the groups above — to discuss your needs, wants, and preferred methods of supporting this effort. With your help, the partnership will help us grow Dryad as a globally-accessible, community-led, non-commercial, low-cost service that focus on breaking down silos between publishing, libraries, and research. As this partnership is taking shape, we ask for community input on how our collective efforts can best meet the needs of researchers, publishers, and institutions. Please stay tuned for further announcements and information over the coming months. We hope you share our excitement as we step into Dryad’s next chapter. We’re thrilled to announce that Dryad will participate in a three-year, multi-institutional effort to launch the Data Curation Network. The implementation — led by the University of Minnesota Libraries and backed by a $526,438 grant from the Alfred P. Sloan Foundation — builds on previous work to better support researchers faced with a growing number of requirements to openly and ethically share their research data. 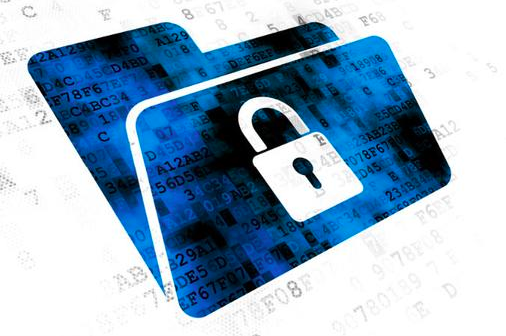 Currently, staff at each of these institutions provide their own data curation services. But because data curation requires a specialized skill set — spanning a wide variety of data types and discipline-specific data formats — institutions cannot reasonably expect to hire an expert in each area. 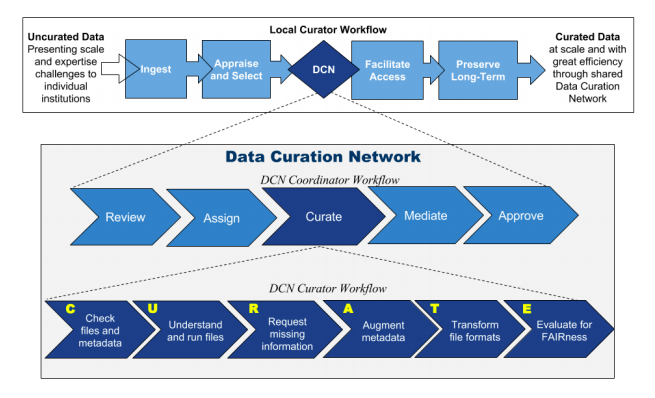 The intent of the Data Curation Network is to serve as a cross-institutional staffing model that seamlessly connects a network of expert data curators to local datasets and to supplement local curation expertise. The project aims to increase local capacity, strengthen cross-institutional collaboration, and ensure that researchers and institutions ethically and appropriately share data. Functionally, the Data Curation Network will serve as the ‘human layer’ in a local data repository stack that provides expert services, incentives for collaboration, normalized curation practices, and professional development training for an emerging data curator community. For our part, the Dryad curation team is excited to join a collegial network of professionals, to help develop shared procedures and understandings, and to learn from the partners’ experience and expertise (as they may learn from ours). As an independent, non-profit repository, we are especially pleased to get to work more closely with the academic library community, and hope this project can provide a launchpad for future, international collaborations among organizations with similar missions but differing structures and funding models.